Charlotte, North Carolina (CNN) - Former NBC news anchor Tom Brokaw, 72, was taken to the hospital Thursday morning while in Charlotte, North Carolina covering the Democratic National Convention. A spokesperson with NBC said Brokaw felt "light-headed," and later Thursday, Brokaw said he "mistakenly took a half dose of Ambien," tweeting that it caused him to make "less sense than usual." 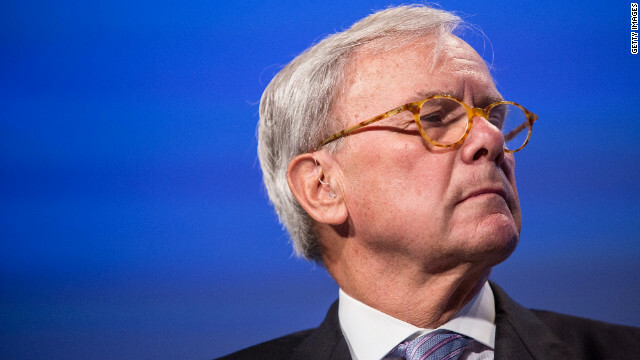 NBC News president Steve Capus said Thursday evening Brokaw was found to be "in great health." "After medical evaluation and a round of tests, Tom was pronounced in great health and has been discharged," Capus said. "We're immensely grateful to the team at Carolinas Medical Center for their excellent care and professionalism." After his appearance on "Morning Joe," the spokesperson said Brokaw was taken to a hospital "out of an abundance of caution." A former anchor of NBC's "Nightly News," Brokaw now serves as a special correspondent for the network, where he reports and offers analysis for a variety of programs. I was watching Morning Joe this morning while Tom was on there. Oh my goodness!!! I'm praying that all is well, and that Tom continues to get better!! Take it easy Tom! Our age is a ready reminder of just how much we Seniors can do! We CAN do it all - just in moderation (smile)! Tom, please get well soon. Obama12. Hope everything is well Mr.Brokaw,Gods speed in getting better we need competent announcers out there covering these big events,take care,again get well!! Tom tweeted he took a half dose of Ambien by accident and is fine now. I hope you're O.k. Tom. We've been losing too many of the icons of my generation lately. I've always like, admired and respected Mr. Brokaw. I hope he feels better soon. Gawd, where are all the REAL news reporters like this man – all we have now are pretty people and wimpy questions. Sad – get well soon Tom! Godspeed, Mr. Brokaw! I hope you feel better soon! You are one of the best commentors we have ever had – please get well soon and take care. I was thinking he didn't look so good on Jon Stewart the other night either. Don't take these Conventions too seriously. This is enough to send you to the hospital. Wish you well.. So, did he drive himself to the convention from his hotel too? Ambien and punditing not a good combo. Sorry I made a spelling mistake – I meant commentator. Anyway good luck Tom! Funny, very funny response. Tom you have a way with words obiviously this is why your in that line of work. Glad your ok! Ambien is a hell of a drug. I refuse to touch it anymore after my experiences with it. "Mistakenly took a half dose of Ambien" ... Ambien is one of the most dangerous drugs on the market today. I would presume Mr. Brokaw is taking the medication at night and was in an Ambien fog when he mistakenly took the Ambien in the morning. This drug is very effective and induces hypnotic states even when not taken for several days... during these states, people drive, cook, make phone calls (during which they make no sense at all) and other activities. They have no memory of these events, which can place their own lives or the lives of others at risk. The FDA should remove this drug from the market.